The computer and information sciences major Springfield College is a professional program that includes a set of core requirements and a choice of one of three required concentrations: software development, internet and network security, or systems management, respectively. The software development concentration focuses on skills that are essential in the development of application software, including software engineering skills for game programming such as object-oriented programming in several programming languages, Windows programming, DirectX and open graphics libraries, animation programming, and game engine development. The internet and network security concentration provide students with the necessary skills to work as Internet and network security specialists in either the private business sector or in the government sector. Possible jobs upon graduation include network administrator, internet network security specialist, and computer system security specialist. Students who choose this concentration are well prepared to seek variety of network certifications. 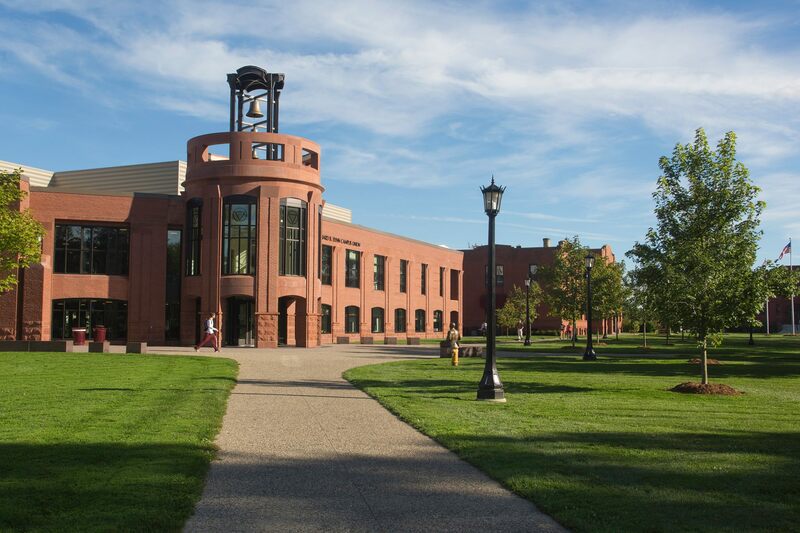 Springfield College is working collaboratively with Springfield Technical Community College in the delivery of the curriculum for the internet and network security concentration. The systems management concentration focuses on the essential technical skills for the business enterprise, including systems analysis and design, advanced database development and management, and essential business management skills including business communications. All students in the computer and information sciences major are encouraged to consider minors in mathematics or business management. Those students who are pursuing the software development concentration and are interested in learning more about 3-D animation from a digital artist’s perspective are strongly encouraged to consider a minor in 3-D animation offered through the Visual and Performing Arts Department. In addition, all students are strongly encouraged to pursue internship opportunities through the Career Center in order to gain on-the-job experience. For more information about the computer and information sciences major, contact Dr. Andrew Perry, chairperson of the Mathematics/Physics/ Computer Science Department, at (413) 748-3193 or the Admissions Office at (800) 343-1257. Be making satisfactory progress toward the completion of their program of study, as determined by the academic advisor and the department. Students who do not meet these minimum standards are placed on departmental probationary status for a period of not more than one year. A student will be removed from departmental probationary status if and only if the minimum standards for advanced standing have been met. A student who is unable to meet the minimum standards during the probationary period will be subject to being dropped from the major. Once achieved, advanced standing must be maintained in order to continue in the major and complete the program.